Holiday home Rose Cottage is a superbly-presented, detached cottage set next to the owners' working livestock and arable farm, in a rural position l..
Rose Cottage is a superbly-presented, detached cottage set next to the owners' working livestock and arable farm, in a rural position less than three miles from Duncannon. 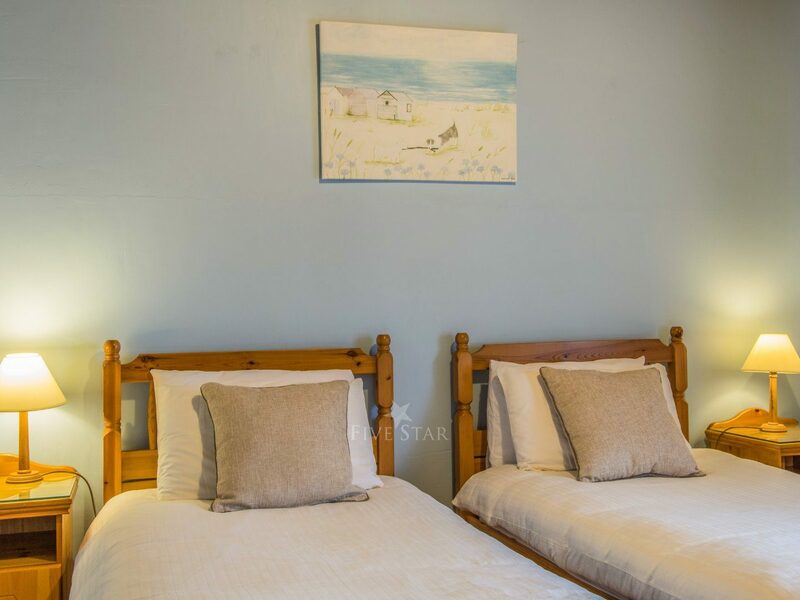 Set all across the ground floor, the cottage offers two bedrooms, one double with an en-suite shower room and one twin, sleeping up to four people. There is also an open plan living area with kitchen, dining area and sitting area with a warming open fire. To the front of the cottage is off road parking for 3 cars plus a gravelled garden area with furniture. 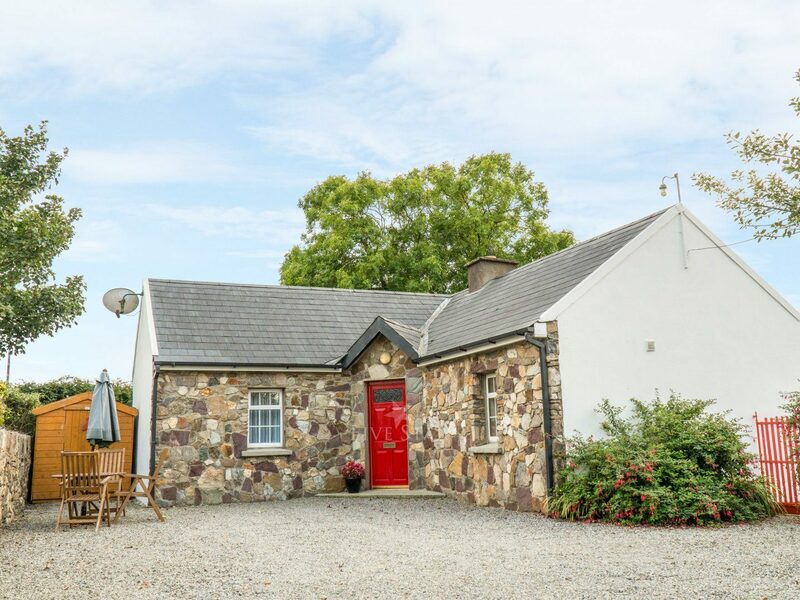 Rose Cottage provides friends, families and couples with a comfortable base from which to discover the sunny South East of Ireland. Note: There is a working livestock and arable farm directly behind this cottage, fenced off and only accessible via gate at end of driveway, children should be supervised at all times and dogs kept on a lead when outside. Oil central heating with open fire. 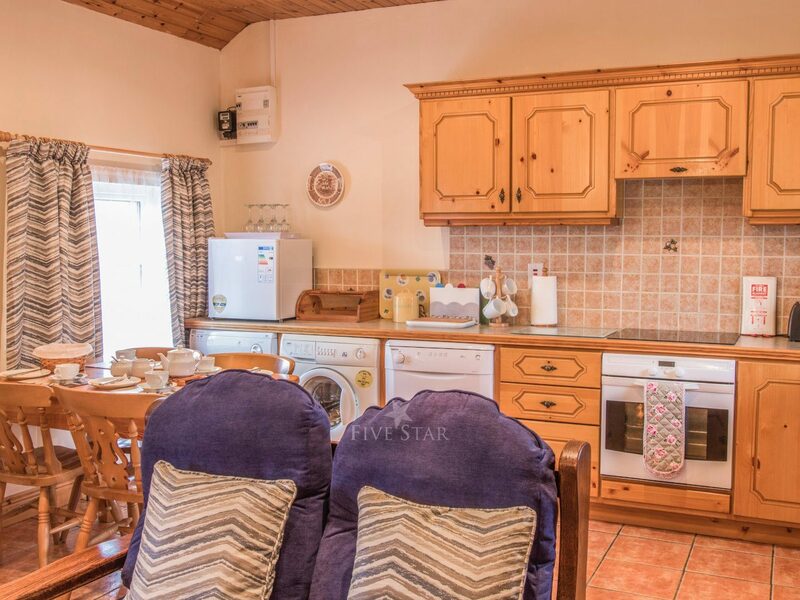 Electric oven and hob, microwave, fridge, washing machine, tumble dryer, dishwasher, TV with Saorview, DVD, selection of books, games and DVDs. Fuel and power charged by meter reading. Starter pack for fire inc. in rent. Bed linen and towels inc. in rent. Cot on request. Off road parking for 2 cars. Front gravel area with furniture. One well-behaved pet welcome. Sorry, no smoking. Shop, pub and beach 1.6 miles. Note: There is a working livestock and arable farm directly behind this cottage, fenced off and only accessible via gate at end of driveway, children to be supervised and dogs kept on a lead when outside. Thank you for sharing your stay experience at Rose Cottage. We will publish it as soon as possible. The host was great and very friendly and even gave us a tour of their farm.. There were so many things to see and do nearby as well. Great location and great cottage. Would definitely recommend! Quiet,secluded location.. .within easy access to all facilities. Wonderful hosts...nothing too much trouble. Children especially enjoyed the farm animals and pets. What a lovely little house.. .. the scones on arrival were delicious and we loved the farm animals . Close to grocery store, church and Duncannon Beach is a short drive. Waterford City is just a few miles away if you use The Ballyhack Ferry. Sit in the yard and read or sunbathe, we had beautiful weather. Thank you Joan, we would love to come back. Patrick and Ellen. “What a lovely little house.” .. the scones on arrival were delicious and we loved the farm animals . Close to grocery store, church and Duncannon Beach is a short drive. Waterford City is just a few miles away if you use The Ballyhack Ferry. Sit in the yard and read or sunbathe, we had beautiful weather. Thank you Joan, we would love to come back. Patrick and Ellen. “Quiet,secluded location.” ...within easy access to all facilities. Wonderful hosts...nothing too much trouble. Children especially enjoyed the farm animals and pets. We really enjoyed our stay at the Rose cottage.. The cottage had everything we needed,the owner was very friendly and helpful , we had a wonderful time, excellent location, plenty to do what ever the weather, would certainly.. Recommend Rose cottage. The only reason we would not rebook is that there are lots of other places we have not visited yet.. The Cottage itself was immaculate and the grounds were manicured. We attended a five day cooking course at nearby Dunbrody House Hotel and the Cottage was a haven after busy days in the kitchen! The host was very friendly and the general position of the accommodation was close to some beautiful sights. This was a wonderful property that was kept very tidy; The Owner was a gracious host. The accommodations were very private. Stunning venue and the Owner was a delight. Would highly recommend Rose Cottage to anyone. 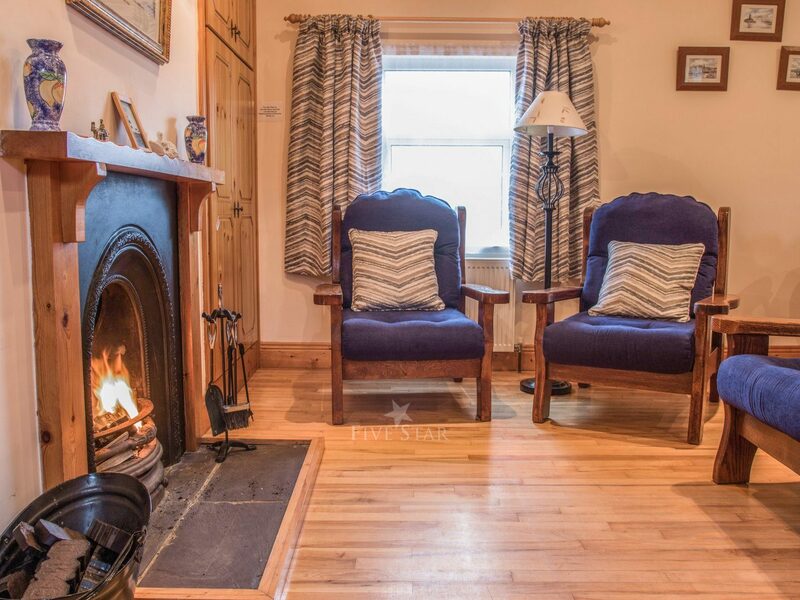 Beautiful cottage in a very quiet, peaceful location. Loved the sounds of farm animals in the mornings and the close proximity to a working farm. Really enjoyed all the lovely beaches on the Hook peninsula. For anyone interested in archaeology, there are some really interesting Norman ruins in the area and the beautiful gardens of Kilmokea and Tintern Abbey. 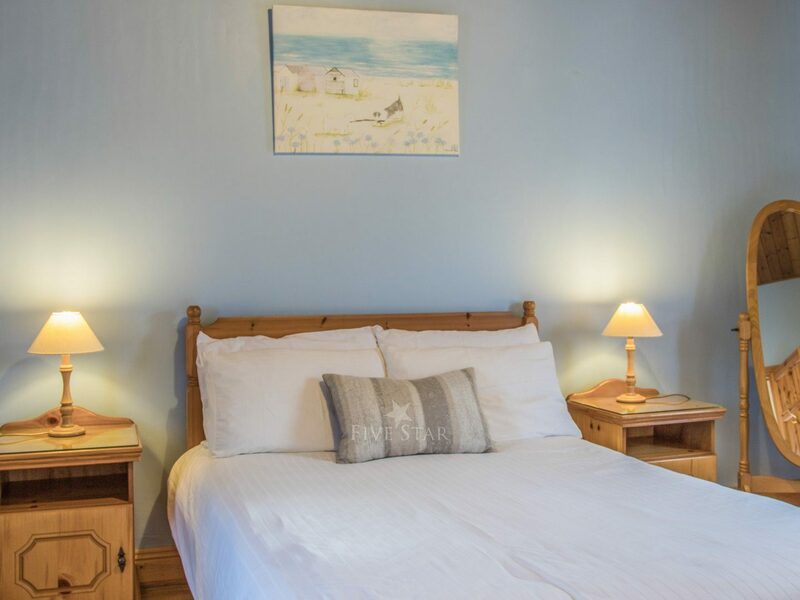 We received a very warm welcome to Rose Cottage from the owner, who has equipped a spotless property to a very high standard and provided everything we could need, and more! 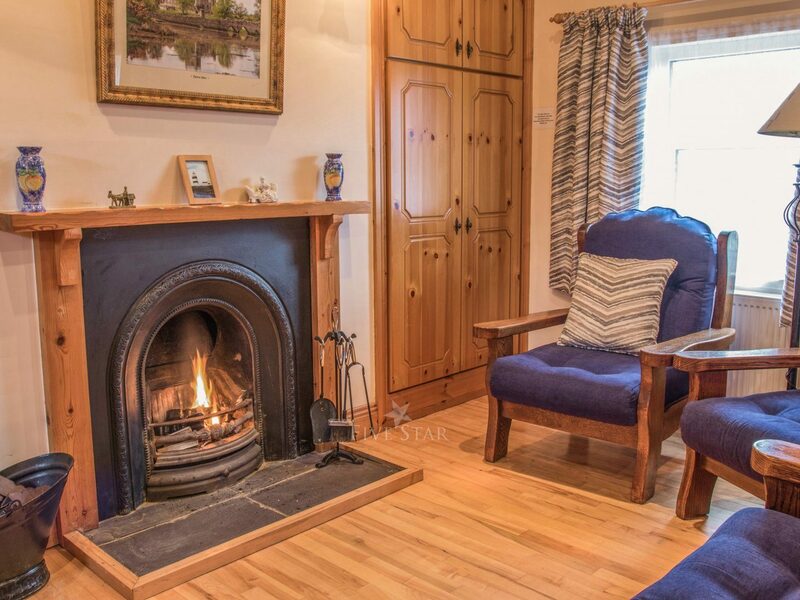 The cottage is in a very quiet and peaceful location and is the perfect place to unwind. It is ideally situated to explore everything South East Ireland has to offer including many historic places of interest, beautiful scenery and a fantastic coastline. We had a wonderful time at 'Rose Cottage'. The owner is a lovely host. 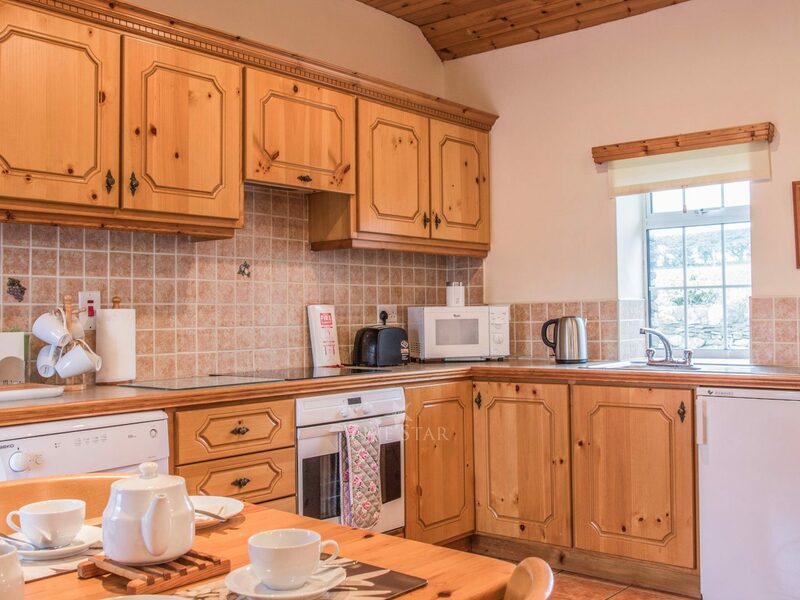 The cottage was perfect for our needs, was spotlessly clean and very well equipped. In a lovely tranquil location, well situated for beaches and sight seeing. We're looking forward to our next visit. We loved everything about Rose Cottage. Perfect in every way. Had an enclosed garden with plenty of room for the dog and a lovely outdoor seated area. We had a fantastic holiday. Rose cottage was beautiful, the perfect place to relax and unwind. We were made to feel very welcome by the owner and there was plenty to see and do. Even the weather was brilliant. We will be back to Rose cottage and will recommend it to all our family and friends. Friendly local people, especially the owner of cottage. Beautiful rural landscapes, seascapes and local history.